What are stainless steel crowns? What to do if tooth knocked out? Why is tooth turning grey? Why is my child grinding? Fiona is a registered specialist in Paediatric Dentistry with current memberships to the Australasian Academy of Paediatric Dentistry, Australian and New Zealand Society of Paediatric Dentistry, Australian Dental Association and the Royal Australasian College of Dental Surgeons. She completed her dental degree with honours in 2002, graduating from the University of Western Australia. She then relocated to Singapore where she worked in private practice and the mobile School Dental Service. With an interest in treating children with medical conditions, she provided voluntary dental services at a school for children with cerebral palsy. Returning to Australia in 2005, Fiona undertook specialist training in paediatric dentistry at The University of Melbourne and The Royal Children’s Hospital, obtaining her doctorate in clinical dentistry in 2007. Fiona has advanced training and extensive experience in the management of child dental health and has been in private specialist paediatric dental practice since 2008. Fiona believes that keeping abreast of the latest scientific and technological advances in Paediatric Dentistry will ensure that her patients receive contemporary and excellent care. To this end, she regularly attends continuing education courses organized by the Australian and New Zealand Society of Paediatric Dentistry, the International Association of Paediatric Dentistry and the European Academy of Paediatric Dentistry. 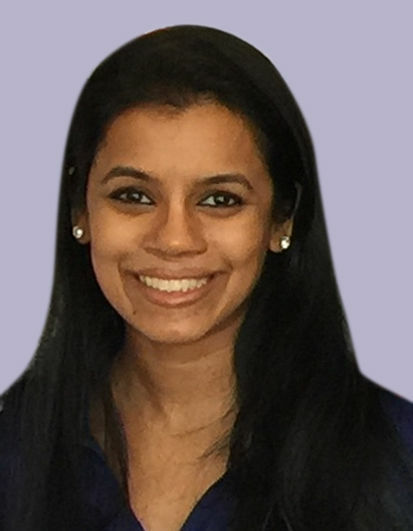 Fiona is dedicated to advancement in the field of Paediatric Dentistry and is an Associate Investigator engaged in research with the eviDent Dental Practice Based Research Network. Fiona is past Secretary and Vice-President of the Australian and New Zealand Society of Paediatric Dentistry (Vic Branch). Fiona and her husband are proud parents to two amazing girls who think they rule the roost. Life is a balancing act, but outside of work, Fiona (tries to be) a supportive wife, loving mum, the most fun taxi service and loudest cheerleader! Jo is a registered specialist in Paediatric Dentistry with current memberships to the Australasian Academy of Paediatric Dentistry, Australian and New Zealand Society of Paediatric Dentistry, Australian Dental Association, Royal Australasian College of Dental Surgeons and American Academy of Pediatric Dentistry. She completed her Bachelor of Dental Surgery degree in 2005 and obtained her Doctorate of Clinical Dentistry in Paediatric Dentistry from University of Melbourne. She completed her fellowship at the Royal Australasian College of Dental Surgeons in 2012. Jo has worked in general dental practice for nearly a decade, across public and private sectors, before commencing specialist training. Her postgraduate training at the University of Melbourne included working at the Royal Children's Hospital and Royal Dental Hospital of Melbourne. 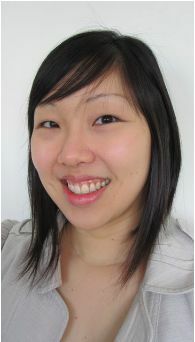 She currently teaches the Doctor of Dental Surgery students at the Melbourne Dental School. Tracey is our knowledgeable and trustworthy practice manager who brings a wealth of experience in both clinical dental assisting and office administration. With over 30 years of experience in dentistry, her role involves appointment scheduling and liaising with day surgery and anaesthetic staff to ensure your child's treatment progresses smoothly. Tracey has a warm personality and relates well to both parents and their children as she has two teenagers of her own. She enjoys spending her free time with family and friends. Kristy is compassionate and thoughtful with a special gift for helping nervous patients feel at ease. In her spare time, Kristy enjoys travelling and catching up with friends. In her role, Kristy will work with your family to streamline the treatment planning process and prepare your child for surgery. Nikki has a warm and bubbly personality that will put your children at ease immediately. Nikki has completed her Certificates 3 and 4 in Dental Assisting. Her clinical competence helps your specialists care for your child in the most efficient and comfortable manner. Outside of work, Nikki loves the beach and socializing with friends. Aimee is our newest addition and she looks forward to making a difference in your child's dental experience with us. We specialise in managing complex cases such as children with severe decay affecting multiple teeth, those with significant behavioural issues and/or anxiety, and children with dental conditions such as supernumerary (extra) teeth, missing teeth, over-retained teeth or enamel defects (weak enamel). Dental treatment can be provided under ‘happy gas’ sedation or general anaesthesia.